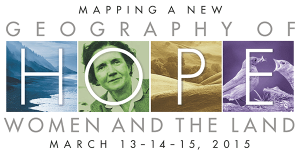 Attending the conference Geography of Hope: Women and the Land at Pt. Reyes Station, I received another lesson in how the system of white supremacy is simultaneously harming all of us and blocking out the remedies to the problems created. 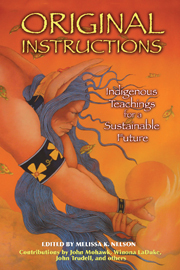 I signed up for the conference lured both by the title—I need hope as we face a global environmental collapse—and by a presenter list that included Robin Kimmerer, whose book Braiding Sweet Grass had recently nourished my spirit. Robin Kimmerer opened the conference by reminding us that an understanding of the world that separates humans from all other life is at the heart of our environmental problems. She spoke of how her own people, the Potawatomi in upstate New York, place humans in a reciprocal role with other life forms, even to the grammar of the language, which does not use “it” when speaking of plants or animals, but distinguishes through pronouns between animate and inanimate. By using “it” for oak trees, salamanders, starlings, our English language teaches us to objectify nature, which then becomes a resource we can exploit or a problem we can attempt to control. Other speakers joined the Native-American presenters in asking that we step into a story where spirit and matter are not separate—where we are more than “consumers.” We need to reinvision ourselves as using our unique human talents to give back to the earth who has offered us so much for so long. No one was suggesting that science and technology cannot help us out of the environmental crisis we are in. Rather that without living in relationship with all the life forms that share this planet, we will be unable to use scientific and technological tools to help the earth repair herself. Throughout the weekend I felt that the women speaking from Native perspectives, women living within cultures that trace back their history thousands of years, were bringing the wisdom we in the U.S. (and elsewhere) need to survive, which involves transforming the dominant capitalist, materialist way of living into one of cooperation and respect. Within the white supremacist system, voices from people who were colonized, from people who were enslaved, from anyone who has not signed on to the dominant European paradigm, those voices are discounted, excluded, and often erased. Yet those voices were very present at Geography of Hope, being embraced by educators, policy makers, activists, writers, and others who attended. We who attended the conference were also warned to respectfully engage with traditional knowledge, to remember the need for reciprocity in our relations with all living things. The gifts of knowledge and perspective being offered by the presenters arrived on that stage at great cost, the cultural wisdom maintained in the face of genocide, suffering, and on-going efforts by governments and corporations to erase traditional peoples from these lands. And several speakers of color asked that we question how the term “diversity” has entered public discourse, in particular, Carolyn Finney, who pointed out that “diversity” often means inviting her in. But what is she being invited into? Does she want to be included? Rather than insisting that flawed people with power (the ones who are supporting our disastrous social policy systems) work for diversity, we should insist they need to let go of their power so others with fresh ideas can step up. In regard to diversity and the environmental movement, we were told not to ask why the environmental movement is not diverse enough. The relevant question is, why is the environmental justice movement not diverse enough. 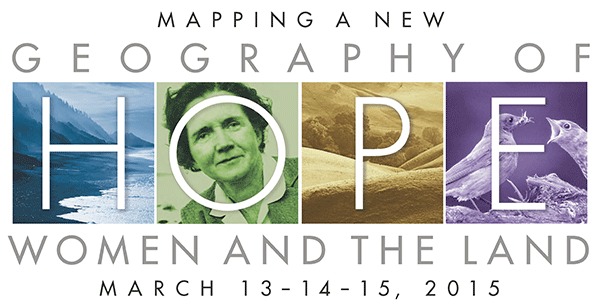 For those of you interested in checking out the Geography of Hope conference and some of the presenters for Women on the Land, see the following links. Geography of Hope: Women on the Land. Learn about the series and specifics on Women and the Land, including a list of all presenters.